(Bloomberg) -- Volvo AB may collaborate with Zhejiang Geely Holding Group Co. in the Chinese market, offering the first clues into the Swedish truckmaker’s plans since the Chinese company became its largest investor. 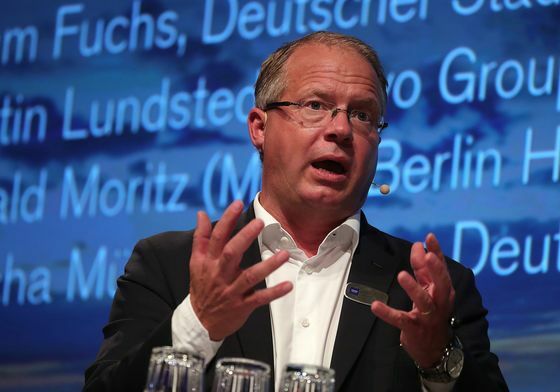 “We see a lot of areas where we feel that Geely can add both insights and competence,” including in the domestic Chinese market and with “certain technologies,” Chief Executive Officer Martin Lundstedt said in an interview. Geely invested 3.25 billion euros ($3.7 billion) in Volvo in December 2017, adding to Chinese billionaire Li Shufu’s growing global footprint. Li is the biggest shareholder in Mercedes-Benz maker Daimler AG, owns the Volvo Cars nameplate and controls Lotus sports cars. Geely plans to make Lynk & Co. branded cars in Europe from 2020. Geely Automobile Holdings Ltd., the Hong Kong-listed arm of the Li’s privately-held company, rose 2.2 percent at 3:01 p.m. local time. Volvo rose 0.7 percent in Stockholm. “Experience and what has been expressed has been very positive,” he said, speaking at the Bauma trade fair in Munich where Volvo presented electric compact excavators and compact wheel loaders that will go on sale next year. The construction-equipment division contributed a third of operating profit last year and generated a 13.4 percent margin on revenue. exceeding the 10.5 percent return on sales at Volvo’s larger trucks division.